As I looked at her sweet little face, cheeks flushed red and eyes filled with sadness, my heart ached for her. 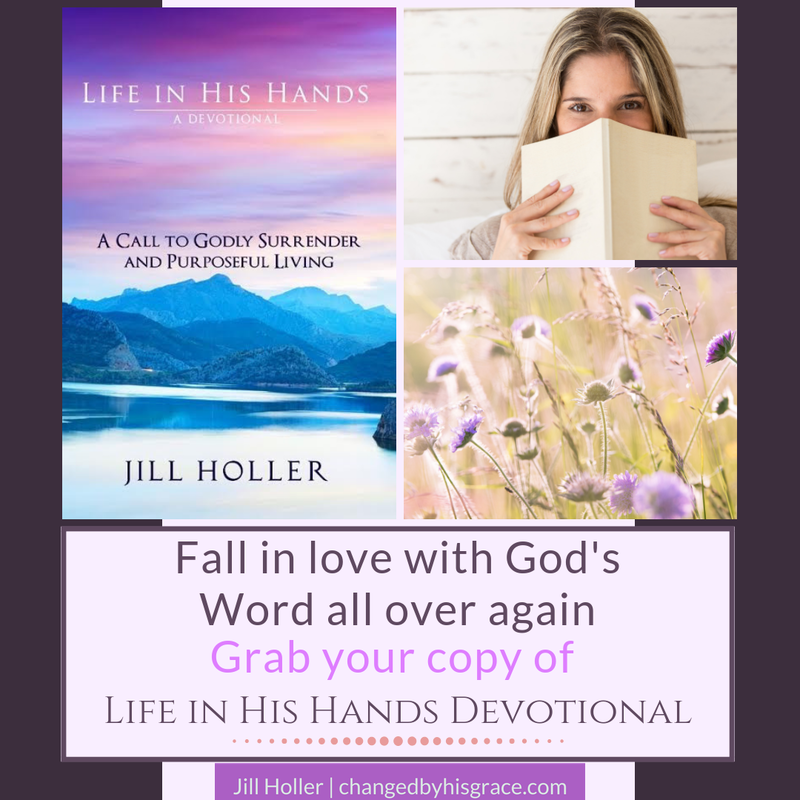 I was taken back in time to my own childhood, as I recalled my own feelings of not understanding God’s great love for me. In that moment, I was back in my blue flowered bedroom in the upstairs of my home, tucked under my fluffy white comforter, quietly thinking about Jesus. As moonlight poured in through the windows, the silence of the night surrounded me, and I was left alone with my own thoughts. Did I love Jesus enough? Was he really my Savior? Didn’t I need to do something more? As I looked down at my daughter who was thinking these same thoughts, my heart was filled with compassion for her. I saw her cheeks stained with tears, and I wanted to pour out all of God’s love from my heart to hers. I wanted her to feel what I now understand: that God is the lover of my soul, the greatest companion of my life, and the one who will love me fiercely to the end. But I knew I couldn’t simply transfer all of this into her heart. God himself would reveal his love to her over the course of her life–in his own timing and ways. Yet as her mother, God had given me a wonderful, priceless gift. I could tell her of God’s great love for her and fill her heart and mind with God’s word every chance I got. Yes, God promises that his word will never return void (Isaiah 55:11), and I was banking everything on this promise. So in that moment as God was stirring up hope in my heart, I tenderly pulled my daughter close and hugged her tightly to my side. There was no searching for words, for God placed 1 John 4:10 in my heart. My daughter looked up at me as if that were too easy an answer. Like it couldn’t possibly be that simple. And I understood why she felt that way. In life, it seems we are always striving. Striving to be better, striving to be liked, striving to make a name for ourselves. There is always more money to make and more people to please. The striving never seems to end. And as a child growing up in our culture, my daughter witnesses this day in and day out. She is learning quickly how our world operates. My daughter sees that we must strive to do our best and win at any cost. She learns to practice, practice, practice. And get better, better, better…at everything she does. It is all about effort and trying harder. The burden for success lies completely within each person. But those are the world’s standards, not God’s. Thankfully, God’s system operates in a very different way. His value system is based on the principles of grace, forgiveness, faith, and love. It is never about making a name for ourselves or working our way to heaven. For God already accomplished everything for us through the sacrificial death of his son Jesus Christ. We do not have to strive to make a way to heaven or to prove our own worth. Our worth lies in Jesus–and he is always enough! So I must teach my daughter the themes of love and grace, for the world will not teach her those. I must illustrate to her the power of the cross and how the blood of Jesus covers us with forgiveness. Through words from the Bible and the example of my own life, I can illustrate God’s never-ending mercy and the gift of his free grace. I can show her that everything in God’s system is based on his love, not ours. When we place our lives in the arms of Jesus Christ, we are in the safest, most loving place we could ever be. This is exactly what I want my daughter to understand. So with a trusting heart, I pray that God will show her that she does not have to measure up to the unattainable standards of this world. Instead, she can rest in the unshakeable love of God. I pray that she will let go of her desire to earn the love of Jesus, for Jesus already paid the price and he loves her freely. Oh, I praise God for such undeserved, mind-shattering love! Yes, God’s greatest comfort to us lies in this verse: This is real love—not that we loved God, but that he loved us and sent his Son as a sacrifice to take away our sins. (1 John 4:10). Therefore, we can let go of our efforts to prove we are worthy of God’s love. We can stop worrying if we are doing enough. Because the solution lies in realizing just how much God loves us. God, the Father, gave up the life of his own beloved Son to guarantee our eternal life with Him. Even though it was our own sin that nailed Him to the cross, God loves us with an unending, unstoppable love. Indeed, that is WHY God sacrificed his own son–because he loves us so much! Therefore, when we come to God with a repentant heart, he forgives us and says we are free! As we contemplate the amazing love of God, our hearts will be overwhelmed with grateful love for Him. And our belief that we must strive for His love will begin to fade away. True love will surge in our hearts as the result of the outpouring of God’s great love on our life. Yes, our love for God springs up as a response to His amazing gift of grace. And with grateful hearts, we can love him freely. 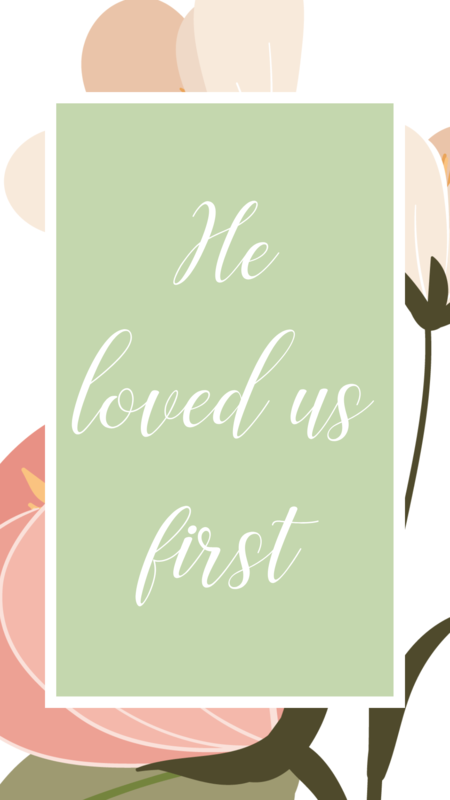 Simply because he loved us first. Download this mobile wallpaper for an encouraging reminder of God’s great love for us.